For the exhibition at kräfte, the artist carefully selected seven glasswares. 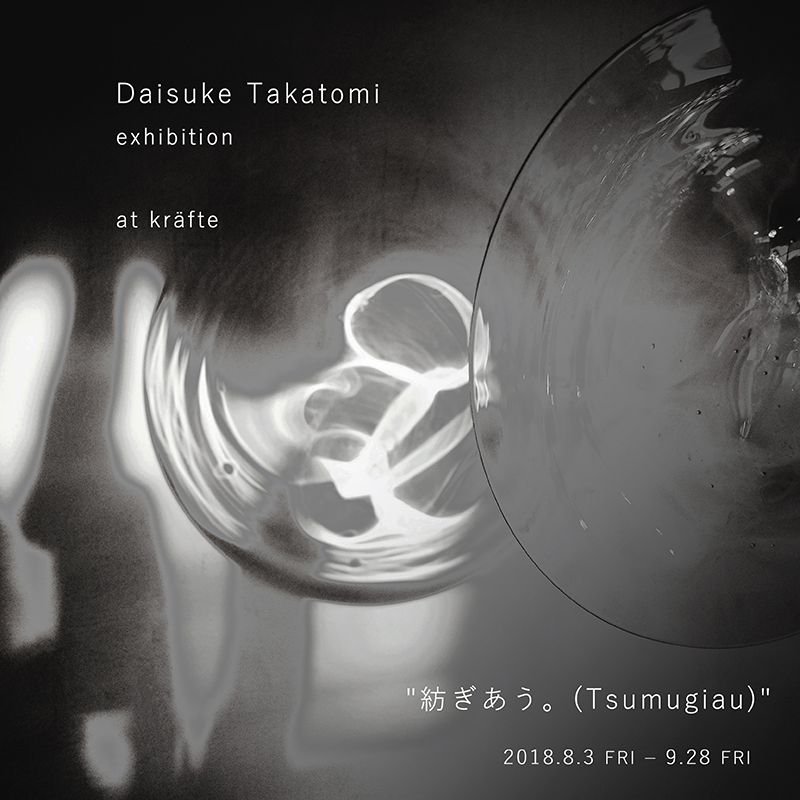 He will also exhibit installation work following the theme of ‘紡ぎあう。(Tsumugiau)’. The snow lies thick on the ground. Glass is spinning, and the glass creates light using a naked bulb. The light comes and goes, and the light comes and goes again.